For many years I have been doing Agile Retrospectives and I have found some difficulties in getting real feedback in my sessions. After using this exercise things changed! I will present you the Agile Retrospective Return of Time Invested. This exercise is a variation of typical Return of Time Invested (ROI) exercise that you can find in Agile Retrospectives book from Diana and Esther. What you can get out of this exercise is very simple. This exercise allows you to get qualitative and quantitative feedback in your sessions. There are several exercises out there that are used to rate the quality of products or services. Usually these methods are quantitative, meaning that you have a scale and you choose a number within the scale. The problem with these methods relies on the fact that users cannot really give qualitative feedback. If you use these kind of systems you might get a 5 star service, but what was so good about the service? What did you really like? On the other end, if you get 1 star what was so bad about the service? With quantitative systems you get very little information about the product or the service. With the exercise that I am presenting here, you will not have this problem. This exercise will provide you quantitative and qualitative information that will allow you to create great Agile Retrospectives in the future with the feedback you will collect from the participants. I use this exercise every time I want to collect feedback from a session that I ran. Of course, in this program we are talking about Agile Retrospectives so you can use this exercise when you want to close your Agile Retrospective and you are interested in getting feedback from your participants. One of the biggest advantages of this exercise is that people do not need to speak, this is especially good with teams of introverted people. Many times people tell me that is very hard for them as facilitators to get people to give feedback or even speak. But one thing that I found out: when you ask them to write their opinions, they are very imaginative. But one thing that I found out: when you ask them to write their opinions, they are very imaginative. So if you think about this, this exercise is great to use with any team, but I believe its exercise is especially good if you have an introverted team. They will feel comfortable with writing their true feedback giving you the opportunity to improve for the next session. To do this exercise the only thing you need is a Flipchart, post-its for each team member and markers. Draw on a graphic with two axis on the Flipchart. After having the graphic on the Flipchart simply ask your team members to think where they would like to put their vote. Give them some minutes to think about it. When they are done, ask them to write the reason on a post-it why the chose that quadrant. This part is very important because it is what will give you the “feedback” that you can use for your next session. It does not really matter if they spent a great time and they got great value. If you do not know what made the session a great success, this is why you ask people to write the reasons on a Flipchart. Thanks. On what are you very interested? 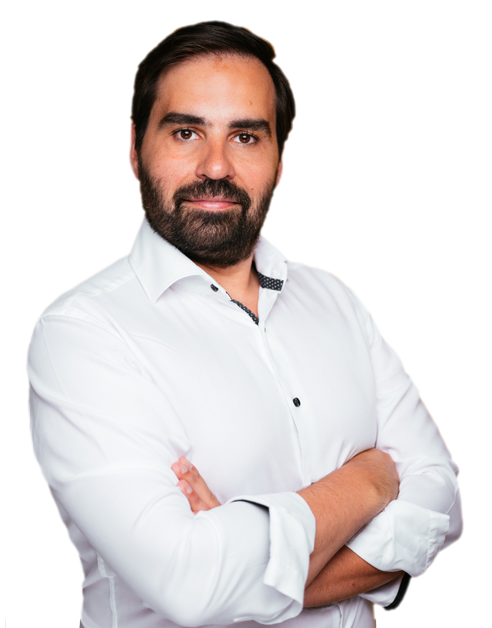 Hi, I am interested in mapping the cermonies and artifacts to agile manifesto. Can you please elaborate this topic. I am not sure if I understood correctly, you want me to write a blog to map the ceremonies and artefacts to the Agile Manifesto? 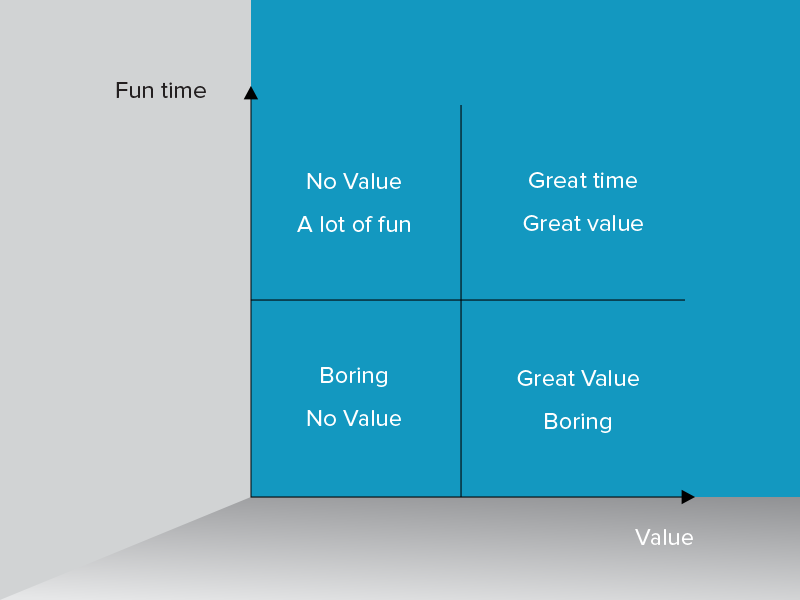 What would you do if some team members choose two quadrants or the crossing point between all quadrants and write down as a reason that the session was in the middle, not boring or worthless, not fun or valuable? Question ~ do you use this exercise related to the whole sprint or to specific sub tasks within the sprint? My team is working on different items/sub tasks each sprint and each may give their vote on completely different set of realities… how do you pose the question?